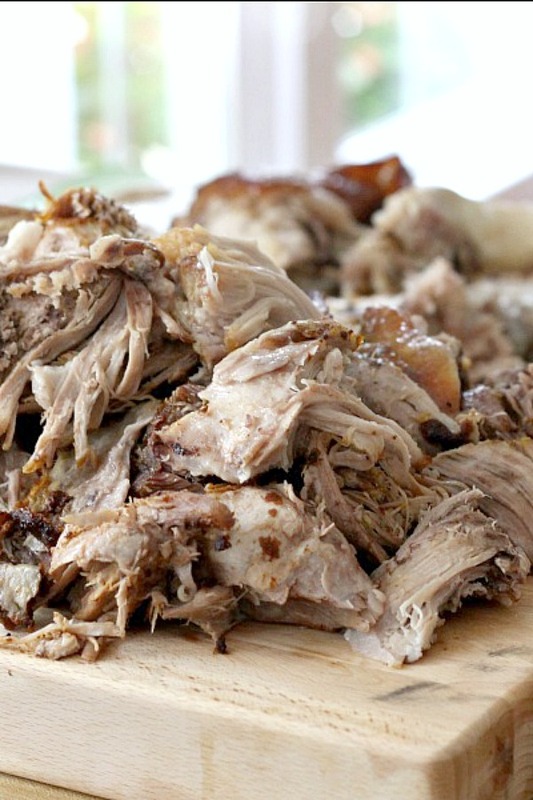 Roast an inexpensive pork shoulder in the oven slow and long for incredibly tender, delicious pulled pork. 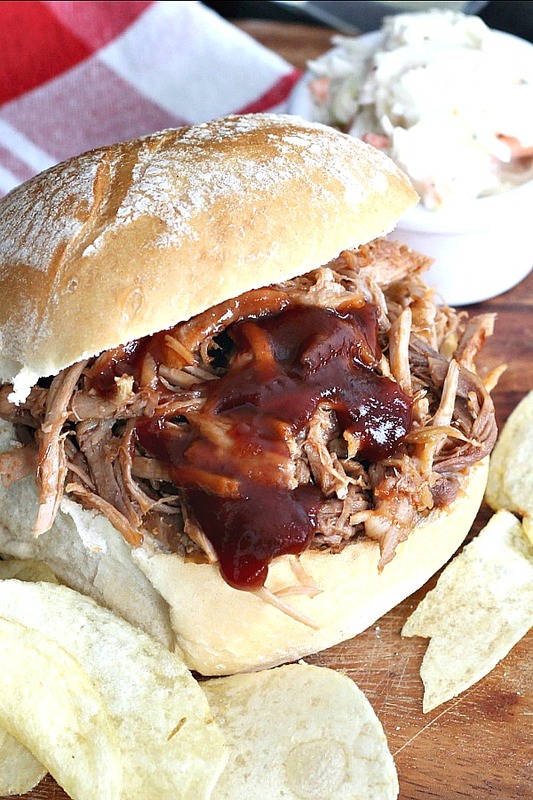 Shred the meat and pile on a roll with your favorite barbecue sauce for amazing pulled pork sandwiches! 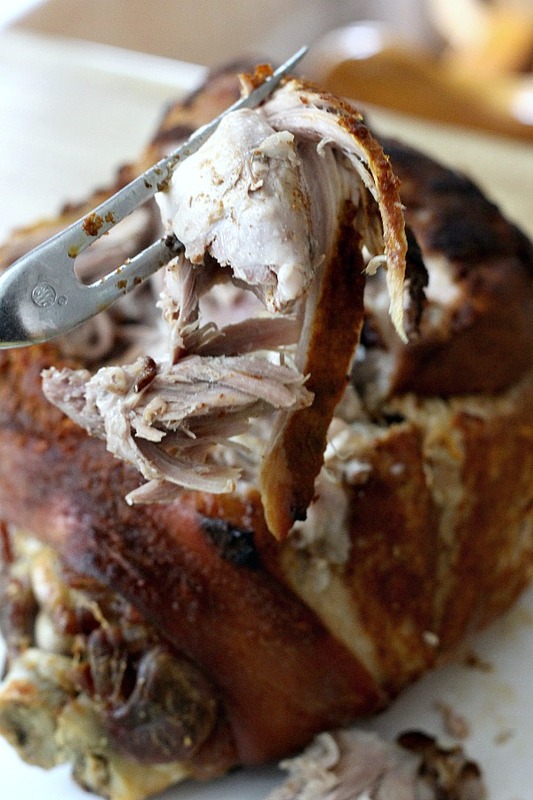 A pork roast is an inexpensive cut but yields a lot of meat. 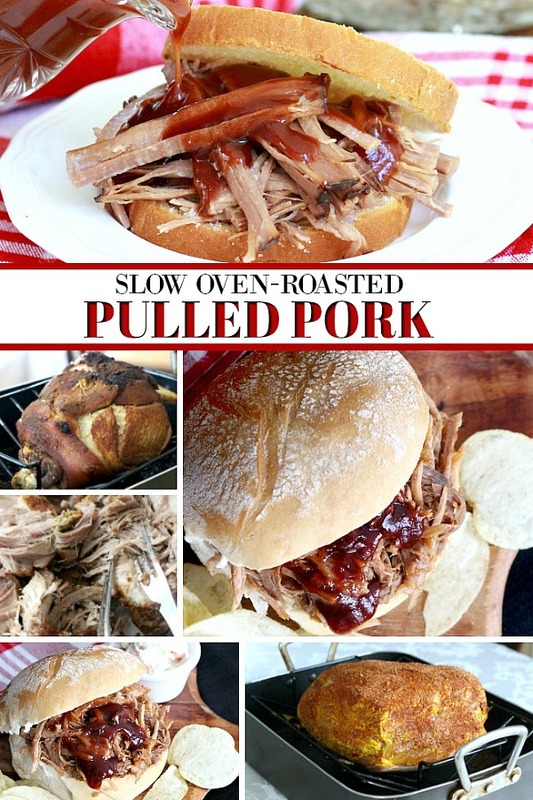 Roast it in the oven, slow and long for incredibly tender, delicious pulled pork. 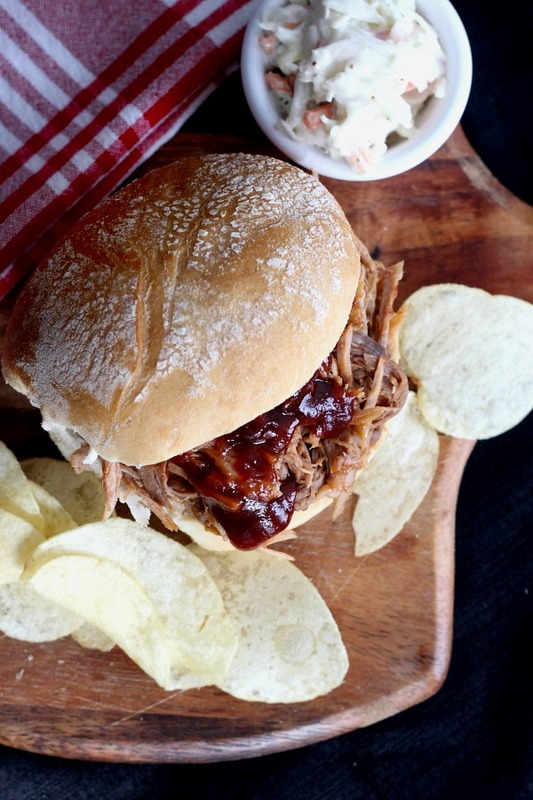 Drizzle on barbecue sauce for amazing pulled pork sandwiches! In a small bowl, combine the paprika, garlic powder, brown sugar and salt. 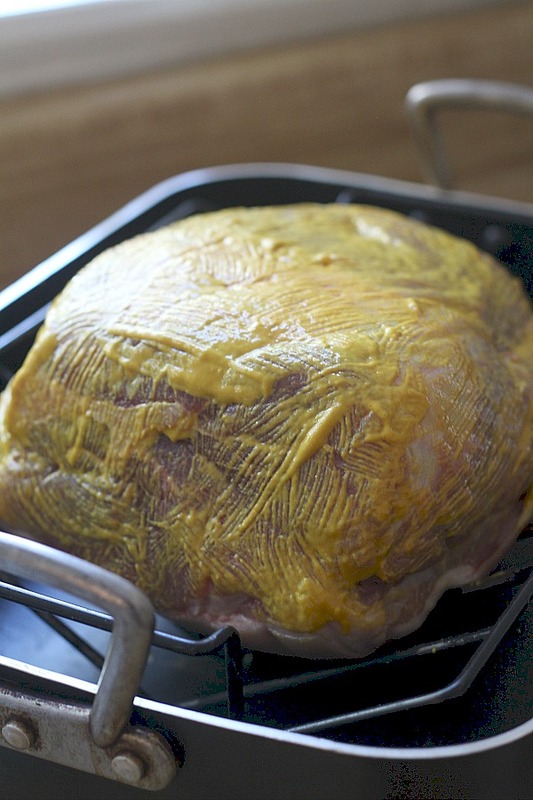 Use a pastry brush to apply yellow mustard. Cover the entire pork shoulder with the mustard. Sprinkle and pat on the seasonings all over the pork shoulder. The roasting pan needs to be tightly covered to keep all of the heat in for the long roasting time. You will need a large piece of foil to cover the pan. 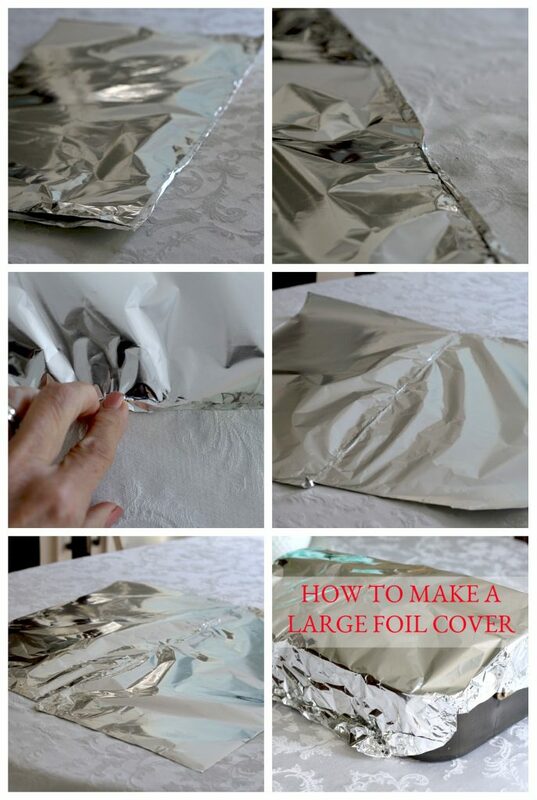 Make a covering by cutting two pieces of foil long enough to cover the length of the pan. Place the shiny sides together. Fold over a 1/4-inch seam up the long side. Make one or two more folds, pressing the seam firmly. 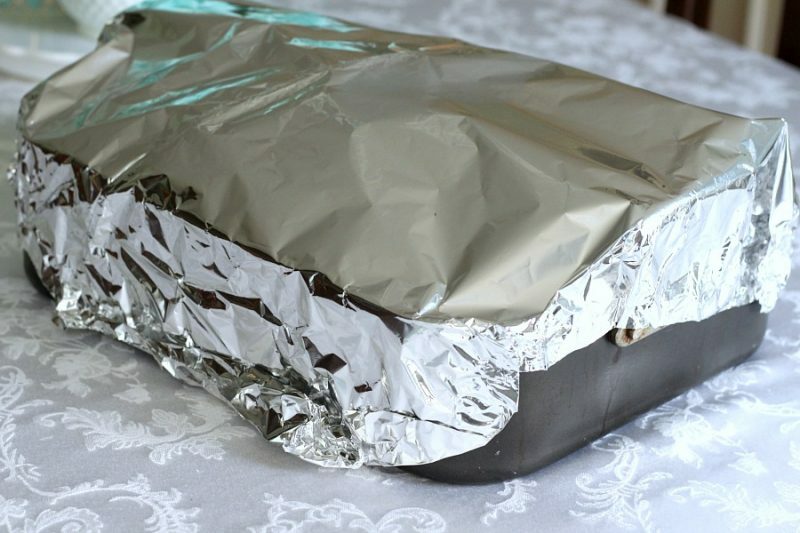 Carefully open the foil and you will have a large piece to totally cover your pan. Make good corner folds for a tight covering. Place the prepared pork in a preheated 250 degree F. oven for nine (9) hours. Long and slow roasting makes the meat fall-off-the-bones tender. If you plan supper for 6 o’clock, get it on by 8 AM. This will give time for the meat to cool to a temperature you can handle as you cut the meat from the bone and shred. 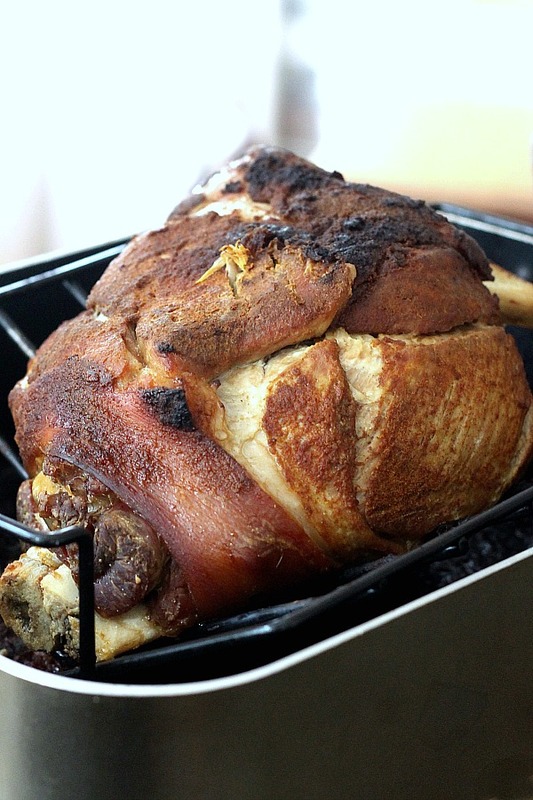 You can roast the pork all day, cool and pull apart to serve another day. Several times I have roasted a pork shoulder through the night and awoke to the tantalizing aroma filling the house. Remove the roast from the oven and allow to rest until it is cool enough to handle. 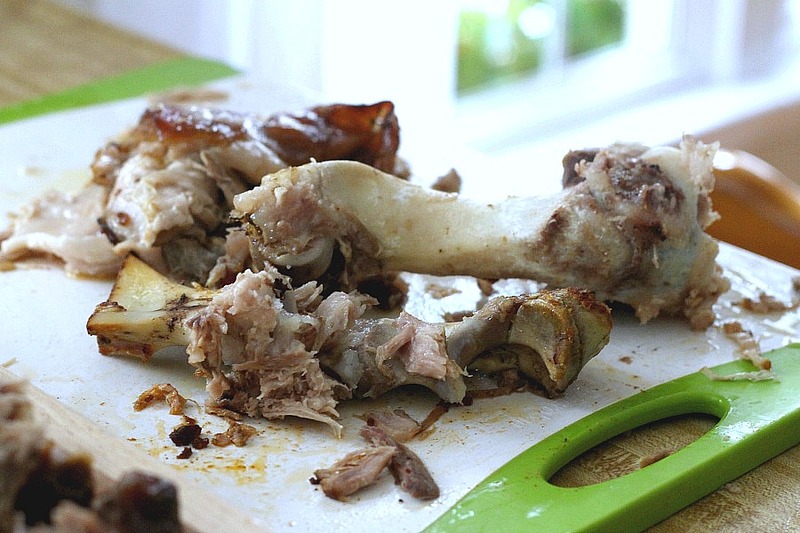 Use a pair of forks or carving knife and fork to remove the tender meat that is easy to pull from the bone. Separate the meat discarding all visible fat and bones. Shred these pieces of meat as desired. This is all that remains after removing the meat. Begin with a fresh pork shoulder picnic… this one was almost 10 lbs. 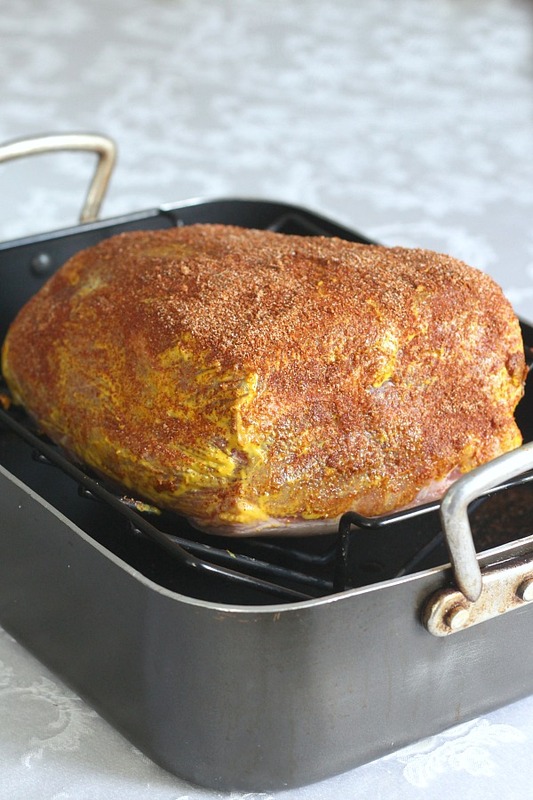 Place the pork shoulder on a rack in a large roasting pan. 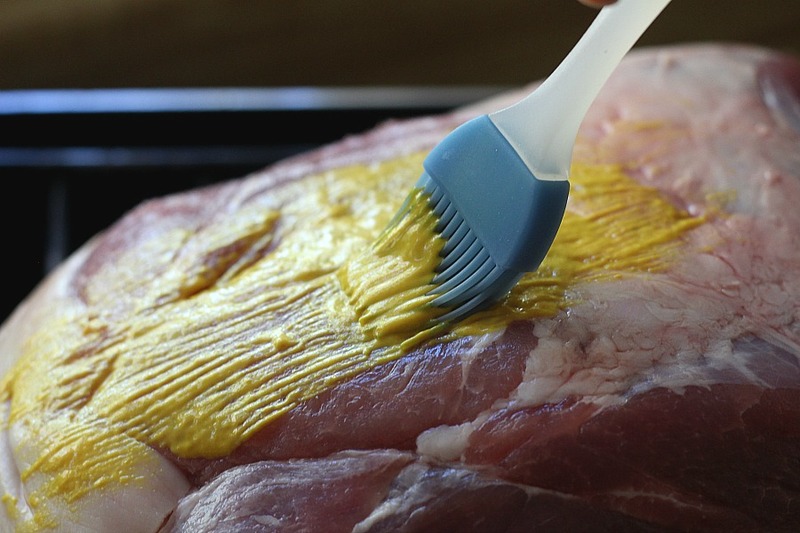 Using a pastry brush, brush the pork with yellow mustard. 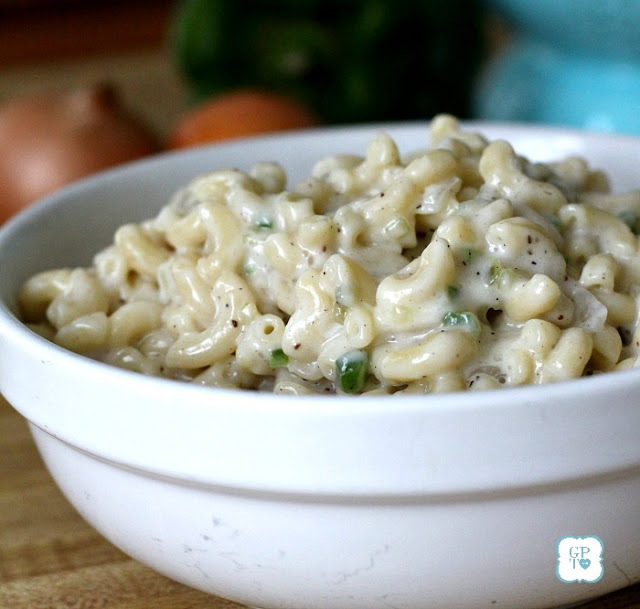 This adds flavor and helps the seasonings adhere. 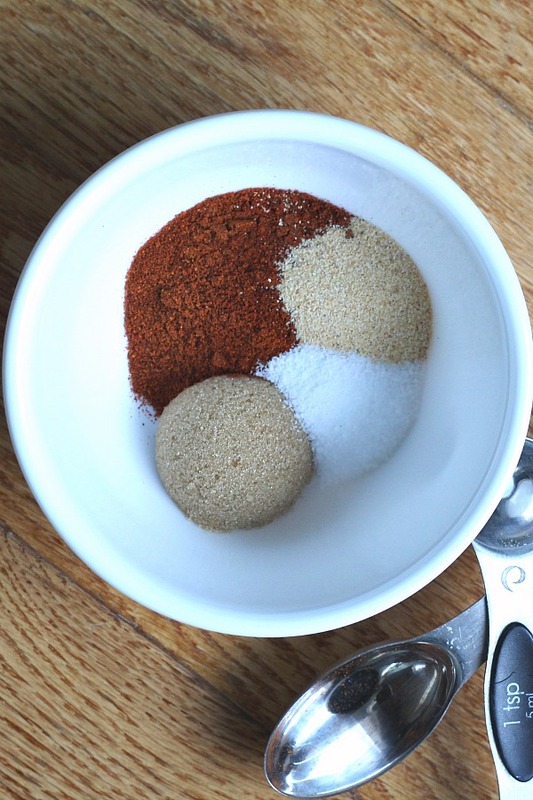 Make a rub by combining the paprika, garlic powder, brown sugar and salt. Stir together and sprinkle all over the pork. 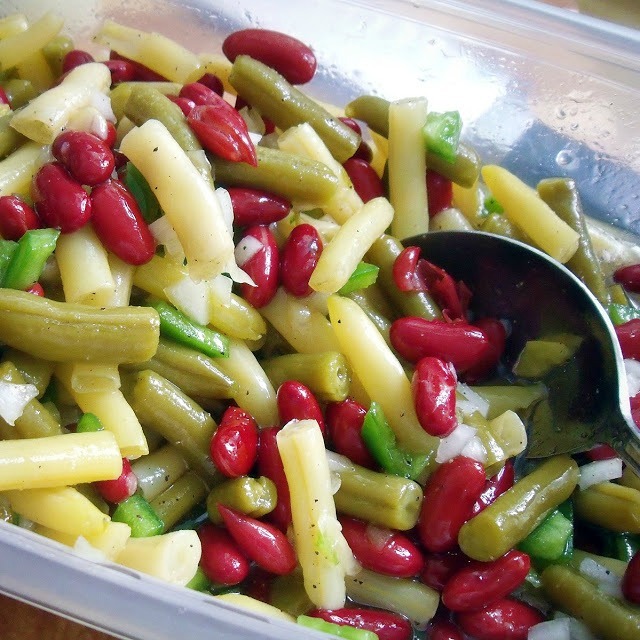 Place in a preheated 250 oven for nine (9) hours. Long and slow roasting makes the meat fall-off-the-bones tender. When cool enough to handle, cut the meat from the bone removing all visible fat. Shred the meat using a knife or two forks. Stir in your favorite homemade or store-bought barbecue sauce or serve sauce on the side. We love pulled pork sandwiches. It’s been awhile since I’ve done pulled pork. I usually make it in the crockpot but your recipe is one I’ll have to try. We love crisp coleslaw with ours. Now I am hankering for some pulled pork. I love it with a side of coleslaw!